Access a variety of retired products at discounted prices on my website! This collection of products will be updated when we have retired items left in inventory that we know you will love. Because inventory can fluctuate, check my website often to take advantage of these products that are offered while supplies last! CTMH 9x9 album page protectors - If you have a 9x9 album, NOW is the time to get them! ALSO - From now until December 31st, receive a FREE D-sized stamp set when you place a minimum order of $20 (excluding tax, shipping and handling) on my website. There is no shipping, handling or tax assessed on the free stamp set. Free stamp set will be selected by Close To My Heart. Orders with both current & retired products count towards the $20! 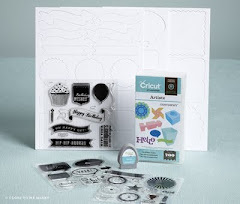 Get those Christmas Scrapbook Pages DONE!